See below for help on using NetTeller Online Banking. When users select Contact, they can view email messages (including attachments when applicable) and reply to email messages from the financial institution on the Message Center screen. To send a message to their financial institution, users select New Message from the Customer Message Center screen and complete the form that appears. Messages from the financial institution appear on this screen and NetTeller users can view, reply, or delete messages and attachments. When users select to delete a message, they must select OK on the window that appears to confirm the deletion. Users can view message details, open attachments, and reply from this screen. When users reply to a message, the previous message information populates the Previous Message field. Users must enter information in the other listed fields. Users can select several account options from the list next to an account as it appears on the account listing screen after successful logon to NetTeller. This option allows users to see all of their accounts within NetTeller. This screen appears initially when users log on. Users can reset their logon count back to zero by selecting the link at the bottom of this screen. Your financial institution can define the page layout for the account information screen. If users have alerts on their account, they can select the link to view a list of their alerts or select View for additional details. Users can select Interest Rates to view the interest rates set up for the various products your financial institution offers. The rates are extracted from the master rate table that your financial institution established. Users can view or download current transactions, view transaction history, available balance information, and both pending and posted ACH EDI transactions from this screen. This screen gives users the ability to download or view transactions for a specific account using a download range and format. Users can download transactions from accounts and import them into a number of software packages based on available formats. The compatible software formats include Quicken®, QuickBooks®, and Microsoft® Excel®. To download a transaction, users can select Download from the drop-down menu next to a listed account, and then select an available download range from the Select Download Range field list. Selecting the Since Last Download option has some limitations. If the download fails for any reason, it is necessary for users to repeat the procedure by using the Between Dates option. Otherwise, users may not receive a download of all the data. Additionally, the date range option is limited to the amount of data stored on your financial institution’s system. If, for example, your financial institution keeps the last 60 days, then that is the oldest data the user can retrieve, no matter what beginning date they specify. Next, users can select the format to download from the Select Download Format field list, and then select Submit to initiate the download. Users can select Transactions next to the selected account on the Account Listing screen and view transactions specified by date, range of check numbers, or range of amounts on the Current Transactions screen. A listing of all transactions on the account including the date posted, reference/check number, description, amount, and running balance posted to the account since the last statement cycle appears on the Current Transactions screen. NetTeller Bill Pay transactions include the check payee and confirmation number issued for the transaction. Users can select the appropriate statement time frame from the View Range section and the results of the selected time frame appear on the Current Transactions screen. The users’ available balance next to Available Funds is based on the available balance calculation table tied to the NetTeller user, and the individual available balance calculation parameters selected within the available balance calculation table(s). Users can select Available Funds to view a breakdown of the individual available balance calculations that make up the available funds. The information entered in the Memo field on the New Transfer screen is carried through to the user’s statement and appears within the user’s account transfer history. Additionally, the memo posted record shows the account transfer to/from information and the user’s memo remarks. A footer also appears on the initial listing screen if the number of records exceeds the number to be shown, based on the parameters set on the Display Settings screen. Users can select the link corresponding to the screen you prefer in the footer. Users can select Search from the sub menu on the Transactions screen to search transactions. A listing of all transactions on the account including the date posted, reference/check number, description, amount, and running balance posted to the account since the last statement cycle appears on this screen. The information entered for Memo on the New Transfer screen is carried through to the users’ statement and appears within the users’ account transfer history. Additionally, the memo posted record shows the account transfer to/from information and the users’ memo remarks. If memo post transactions have been set up for funds transfers, remove the memo post transactions through NETPAR option Work with Memo Post Descriptions. Otherwise, the memo post transactions override the pseudo account name and memo post description entered for the funds transfer through NetTeller. Users receive a pop-up display of their account balance and available funds breakdown for the Available Funds screen. Users can view scheduled recurring transfers through this option. A footer appears on the initial listing screen if the number of records exceeds the number to be shown, based on the parameters set on the Display Settings screen. Users can select the link corresponding to the screen they wish to display as it appears in the footer. Based on the authority levels you allow users, they can make transfers between any transaction accounts, such as DDA, savings, or loans. Exception: Transfers from a Loan to a Club Account are permitted in NetTeller but not as Automatic Fund Transfers. Select Transfers from the drop-down menu next to a displayed account. Select Edit next to the desired transfer. Select Submit to accept entries. Verify that changes are accurate. Select View next to the desired funds transfer. Based on the authority levels you establish, users can initiate funds transfers between transaction accounts, such as checking, savings, or loan accounts by following these steps. Select Transfers next to the desired account. Select the New submenu option to initiate a new funds transfer. The Pending Transfers or Transfer Funds screens appear based on the parameter selected for Edit Home Banking Transfer Navigation Options in FI Management. Select the account from which to transfer funds for Transfer Funds From. Select the account to transfer funds to for Transfer Funds To. Indicate the Transfer Date in which the transfer is to take place. Enter a related Transfer Memo. Select Submit to initiate the transfer. If Use Transfer Confirmation is set to Yes for the Edit Home Banking Transfer Navigation Options function in FI Management, or if Yes is selected for Transfer Confirmation on the Display Options screen in NetTeller, a screen appears allowing users to confirm the funds transfer. A list of all pending transfers for a selected account appears on this screen. From this screen, NetTeller users can edit, view, or delete a pending funds transfer. Users can confirm and delete a pending transfer or cancel the delete and return to the pending transfer list. A history of one-time and recurring funds transfers initiated for a selected account appears on the Transfer Funds History screen. NetTeller users can change the number of days of funds transfer history that appears or search within a particular dated range. They can also select Details next to a particular transfer to view details for a particular funds transfer. One Time – This option is a one-time only transfer. It is the default value. It defaults the date to the current date. Users who wish to change the date of the transfer can select the calendar and select the specific date that the transfer occurs. Weekly – This option can schedule a funds transfer to occur each week at a specified day of the week. Users that wish to change the date of the transfer can select the calendar and select the specific date that the transfer occurs. Bi-Weekly – This option can schedule a funds transfer to occur on a biweekly basis at a specified day of the week. Users that wish to change the date of the transfer can select the calendar and select the specific date that the transfer occurs. The start date must be on a day that is equal to the weekday selected. The biweekly option is also available on the Edit Scheduled Transfer screen when editing funds transfers is previously initiated. Semi-Monthly – This option can schedule a funds transfer to occur on specified dates in a month (such as the first and 15th of each month). Users that wish to change the date of the transfer can select the calendar and select the specific date that the transfer occurs. Monthly – This option can schedule a funds transfer to occur on a specified date of the month (such as the first of the month). Users that wish to change the date of the transfer can select the calendar and select the specific date that the transfer occurs. NetTeller users can view all stop payments they enter in NetTeller or that you enter through your core product. This is a read-only function and users cannot modify the items. The Issued Stop Payments screen appears when users select Stop Payments from the drop-down list next to an account on the account listing screen. Users can create their own stop payment online from this option. Once they select Add Stop Payment, complete the necessary fields, and then select Submit, they are able to confirm their stop payment on the confirmation screen. They can then view the issued stop payment on the final summary screen. All NetTeller initiated stop payments are updated to the host automatically. The Check Date and Payee fields are required. Additionally, information must be entered in either Start Check Number or Begin Amountto proceed with adding a stop payment. The fee assessed by the financial institution to add a stop payment affects both the available balance and the available cash balance, provided the service charge code used for stop payments was set up to subtract memo-posted debits. The starting check number cannot be 000s. Users can view a list of their existing stop payments on the Current Issued Stop Payments screen or details for selected stop payments from the View Stop Payment screen. To access the View Stop Payment screen, users must select Stop Payments, and then select View for the desired payment. To return to the Current Issued Stop Payments screen, users can select Return. The NetTeller Bill Pay tab has several menus and options. Users can use the New Payment sub menu option to create new one-time or recurring payments and set up Quick Pay and Expedited payments. Users can select Add Payment to set up a one-time or recurring payment from this screen. The Address 2 and Memo fields are optional. The Pay from Account field list contains previously enrolled bill pay accounts. The expedited payment amount cannot be greater than $50,000.00, smaller than $0.01, or left blank. If an OFAC violation has occurred, users receive a generic message that an error occurred while processing the transaction. They can either correct the transaction or cancel the payment. If, during the first validation process, the users enter an address that FedEx cannot deliver to, they receive an error message notifying them that this is a non-deliverable address for an expedited payment. They can edit or cancel the payment at this point. Once all validation checks are passed, the users are directed to a summary and confirmation screen. This screen does not have fields that can be edited. Once the users have reviewed the information, they must Confirm or Cancel the expedited payment. Performs MFA checks following financial institution-established bill pay rules. Receives the FedEx tracking number. Verifies fund availability and reserves the funds. Debits the users’ account for both the amount of the payment and the associated fee. Transfers the funds into two separate financial institution clearing accounts. Sends the payment information to Myriad Systems/FedEx for check printing and overnight delivery. Financial institutions set up the clearing account and description through core. Users receive a confirmation of the success of the expedited check payment along with a FedEx tracking number. The tracking number is a link that opens a new window to FedEx’s site to track the shipping of the expedited check. A processing file is created and sent to Myriad after each transaction. If the cut-off occurs between when the users access the input screen and complete and submit the page, a system warning and confirmation appear, indicating the payment was not completed by the cut-off time. The users are required to confirm the payment again for the next available business day. Users enter the amount, date, and memo and verify the pay from account to quick pay the listed payee(s). Users can edit or delete recurring, one-time, or Quick Pay payments. Users must confirm the deletion of a bill payment by selecting Delete from this screen. Select Cancel to cancel the deletion. Users can view payment detail information on the View Payment History Details and View Payment Details screens. The payment type can be E-Electronic or C-Check. The users can add an individual or a company as a payee by filling out the detail fields on this screen. Users can select up to 10 payees to use as QuickPay payees. Users can edit check or electronic delivery bill payment payees. Users can select Delete to confirm the deletion of a payee or Cancel to cancel the delete process. Users can select Details from the Account and Document Enrollment screen to choose which accounts and specific documents to enroll for electronic document delivery. Users must confirm or update the email address to which statements and notices should be delivered and create a security phrase that appears in document delivery emails. After users have reviewed and accepted the terms through the I Agree to the List Terms field list, they can select Click Here to See a Sample Document and Enroll Now to complete their enrollment. Users can select Disclosures to view the enrollment disclosure they accepted during enrollment. Users can access and view available statements and notices by selecting the Statements and Notices submenu, and then selecting View next to an available statement or notice shown on the Statements and Notices screen. Users must have Adobe version 6.0 or newer to view PDF statements and notices. After users receive email notification, they can access and view statements and notices as available by logging on to Electronic Statement – Interactive and verifying or entering their name and password. An ESI name and password controls access to all documents. Users can select the Include Check Images with My Statement If They Are Available option to view check images not included with the statement or notices. When users select Login, the statement or notice referenced in the email notification and included associated check images appear. Combined statements are delivered in their existing format and are identified as combined (by the primary account). When any combined statement account is opted-in for E-Statements, all combined accounts are flagged for electronic delivery. Users must uncombine accounts in order to receive any one of them differently. The recipient’s ISP processes email bounces (statements or notices sent and subsequently returned due to invalid email addresses). Some ISPs do not return undeliverable emails. When an email is returned, the system attempts to resend the email, up to three automated retries, in four, eight, twelve, sixteen, twenty, or twenty-four hour increments. The financial institution can set the number of retries and how often an attempt is retried. If the email fails on each additional attempt, a daily report is produced and made available for the financial institution to process accordingly. If an email designated for an extra recipient bounces back, a failed delivery notice is sent to the primary recipient who originally established the additional recipient. The financial institution can modify the description used for each document. Each screen accommodates a list of up to 50 documents, with paging navigation available to view additional documents. To view the Statements and Notices screen, select the E-Statements tab from the NetTeller main menu, and then select the Statements and Notices submenu. Users can view, add, remove, or change their electronic document settings through the Documents and Settings screen. To view the View Statement/Notice List, users select E-Statements from NetTeller. Only primary accounts appear and are listed in a parameterized, masked format so users can identify the different account types. Your financial institution’s enrollment disclosures screen appears for any accounts in which statements or notices were selected for electronic delivery. Users must agree to the disclosure agreement in order for their changes to be processed. If additional accounts were selected for enrollment while viewing or changing document settings, users receive an email confirming document enrollment, and the accounts selected for enrollment are identified by their masked account number or pseudo name. Users can select the Documents and Settings submenu, and then select the appropriate check box(es) to add, remove, or change electronic document settings. Users can also select All Accounts to select and send all documents electronically for the selected account. When users select Save Settings, they receive an email confirming any new document enrollment and the accounts selected for enrollment as identified by their masked account number or pseudo name. If your financial institution enables additional recipients in General Settings, users can designate additional recipients for their electronic statements and notices through the Additional Recipients screen. You can choose the number of additional recipients users can add, up to 100. Users can select Add Additional Recipient from the Additional Recipients screen and complete the Username, Email Address, and Access PIN fields to add additional recipients for statements and notices sent electronically through Setting Additional Recipients. When users select Save, the recipient is added. Users can select Delete next to the desired recipient from the Additional Recipients screen to delete a previously added additional recipient, and then select OK to confirm the deletion. Users can select Edit next to the desired recipient from the Additional Recipients screen to edit the username, email address, or access pin for an existing additional recipient, and then select Save to confirm the deletion. Users can send copies of their documents to anyone and are not required to have secondary recipients for the Electronic Statement – Interactive product. Your financial institution can enable or disable additional recipients and set the number of additional recipients allowed at the user level via the User Reports screen. They can also enable or disable additional recipients and set the number of additional recipients allowed for all users through the General Settings screen. Both of these options are available through the Electronic Statement – Interactive FI Management Application. When users select Assign Documents next to the desired recipient on the Additional Recipients screen, the Documents and Settings for (Additional Recipient) screen appears. Users can select to view and then add, remove, or change electronic document settings. The statements and notices currently selected for electronic delivery for the selected account(s) appear. Selecting the plus (+) next to each account to which to send documents electronically. Selecting All Accounts to send documents electronically to all accounts. Users must then select Save Settings and read the consent document that appears. When users select I Agree, the Documents and Settings for (Additional Recipient) appears with a system message indicating the changes have been successfully saved. Newly enrolled users receive an email confirming document enrollment, and the account(s) selected for enrollment are identified by their masked account number or pseudo name. The Electronic Statement – Interactive product does not verify the validity of an email address indicated for an additional recipient, nor does it send a confirmation email to the additional recipient. Confirmation emails sent for enrollment returned for invalid email address are subject to existing email bounce parameters. Users can view the email address used as the recipient address for all electronic documents originated through the E-Statements product, and the security phrase used with emailed documents through the Email screen. The security phrase assures users that any emailed documents requesting private information have originated from the E-Statements product. The security phrase protects users from fraudulent Internet scamming or phishing, a falsely represented email designed to trick the email recipient into revealing sensitive information that could be used for identity theft. Users should not reveal any sensitive information if the security phrase does not appear within a document reporting to come from the E-Statements. Users can select the Email submenu from the Electronic Statement – Interactive tab and enter the email address to which to send statements and notices to for All Documents Will Be Sent to the Following Email Addresses. Users can enter their desired security phrase for All Authentic Emails Will Contain the Following Security Phrase. When users select Save Settings, a confirmation email is sent to the indicated email address that includes a link to access and log on to the NetTeller Internet Application and Electronic Statement Interactive. When users select the E-Statements tab from NetTeller, they can access all options available for the E-Statements product. Users can access an optional page within each PDF statement. When reconciling checkbook transactions to online statement transactions, users’ final balance should agree with the checkbook balances after deducting changes and adding statement referenced credits that do not appear in their checkbook. To reconcile their checkbook with their online statement, users can select the Reconciliation submenu, enter the balance from the latest online statement for Enter Balance from Latest Statement, and then select Next Step. Users can then enter the deposit amount of each recent deposit not already credited to the statement, up to eight deposits, for Add Recent Deposits and select Add Deposit after entering each deposit amount. Users can select Recalculate Total to recalculate and redisplay the total amount of the individual deposit amounts entered. Users can complete the Date, Check Number, and Amount fields, selecting Add Check after each entry for up to eight checks. Users can also print a summary of their reconciliation information. Users can change or confirm their current email address from this option. This screen allows users to change or create a new personal ID or alias to use instead of using the user ID originally assigned to them. Users can change their Cash Management password and/or Cash Management PIN for those Cash Management users that have wire transfer authority to change their wire confirmation PIN and Single Sign On ID and/or PIN information. (Enter Current) fields, and then enter their new Cash Management password and/or wire PIN next to Cash Management Password (Enter New) and/or Cash Management Wire Password (Enter New) fields. Users must re-enter their new Cash Management password and/or wire PIN next to Cash Management Password (Enter New Again) and/or Cash Management Wire Password (Enter New Again) to confirm the new password and/or wire PIN and select Submit to initiate the change. From the Personal submenu option, users can enter their new personal ID in the NetTeller ID (Enter New) field. They must re-enter the new personal ID in the NetTeller ID (Enter New Again) field and select Submit to initiate the change. From the Personal submenu option, users can enter their new email address in the Change Email Address field. The email address in this field also updates the Customer Information File email address in your financial institution’s files. Users must re-enter their new email address in the Reenter New Email Address field to confirm the email address and select Submit to initiate the change. 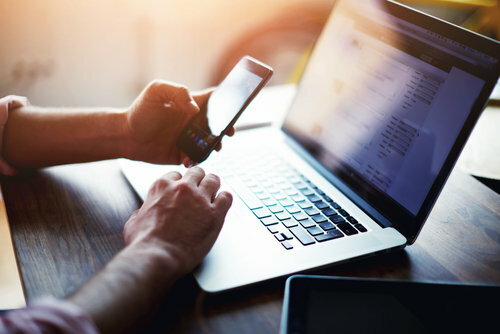 A Notice of Email Address Change is sent to the users based on the configuration option your financial institution selected for Email Change Notification Settings in FI Management. Users can arrange the display of and assign or change pseudo names to their accounts listed in NetTeller. When users select the Account submenu option from the Options tab, the modify account settings screen appears. Users can enter their desired pseudo account name next to the desired account under the New Account Pseudo Names column, and then select Submit. A footer appears if the number of records exceeds the number based on the parameters set on the Establish Display Defaults screen. Users can select the link corresponding to the screen they wish to display as it appears in the footer on the screen. Users can specify the number of account pseudo names to be displayed on the Account Options screen, as well as the number of accounts that appear on the Account Listing screen. Display default setting options available for edit are based on whether the NetTeller user is Retail or Cash Management. When users select the Display submenu option from the Options tab, they can select default display options for each function that appears on the Establish Display Defaults screen. When users select Submit, the Establish Display Defaults screen with a system message indicating the record display options have been successfully changed appears. Users can view all alerts for their profile from this screen. If users elect to receive email alerts, they must enter their email address for the files and select Accept. When users elect to receive alerts via email, they are prompted with this screen to confirm their valid email address. Users can set up balance alerts to either email or flag at logon when their balance is above or below a set amount. Users can choose to be alerted by email or logon if a specific item number clears. Users can be set up to email or alert on logon for a specific date or personalized alert message. Users can set up transaction alerts to flag at logon when their balance is above or below a set amount. Users can create the items or watches that trigger alerts they receive. Users can select event alerts to be sent to Cash Management and other online users when specific transactions, such as wire transmissions, ACH EDI Transactions, and ACH batch initiations, are initiated through NetTeller. Listing screen to view a list of alerts, including the additional system-defined event alert watch for ACH EDI. The pseudo account name and processing date are referenced as part of the alert information displayed to NetTeller Cash Management users when viewing this alert. Only one alert, per ACH EDI-enabled account, per file, is generated, regardless of the number of transactions contained within the pending ACH EDI file. When users select the hyperlinked alert text, the Current Transactions screen appears. From this screen, users can access information for pending and posted ACH EDI transactions through the View Pending Transactions and View EDI links. After NetTeller Internet users have checked the event alert messages and EOD is processed, the event alert messages go away. However, if one NetTeller ID has multiple Cash Management users, the event alert messages do not go away for each user, only the user that has checked them. If a wire is transmitted or an ACH batch is initiated and the user is set to receive the event alert message, that user must sign out and back in to NetTeller in order to retrieve and view those messages. Returning to the Account Listing screen or refreshing the Account Listing screen while on the application does not cause the event alert messages to appear. Users can select Alerts from the Settings tab, and then select Edit Event Alerts to select or clear any event alerts to be initiated when the corresponding transaction is initiated though NetTeller and select Submit to accept their entries. If Email was selected for one or more event alerts, an additional Edit Events Alerts Disclosure screen appears to indicate the email fee per alert charge(s) associated with the alert(s) selected. Select Accept to continue, or select Back to return to the previous screen. If Email was selected for one or more event alerts, an additional disclosure screen appears to indicate the email fee per alert charge(s) associated with the alert(s) selected. Users can select Accept to continue, or select Back to return to the previous screen. If this option is selected, an event alert is sent to the specified Cash Management user prefaced with the message The following batch has been initiated and contains the same information as the information contained on the ACH batch confirmation screen displayed when the ACH batch is initiated. If this option is selected, an event alert is sent to the specified Cash Management user prefaced with the message The following batch has been processed and includes the original confirmation number and summary details assigned to the ACH batch initiated. If this option is selected, an event alert is sent to the specified Cash Management user with the message The following wire has been transmitted and contains the same information contained on the Wire confirmation screen displayed when the wire is initiated. When a user logs on to NetTeller, an event alert indicator appears on the Account Listing screen. Event alert messages for wire transmissions or ACH batches initiated prior to the alert being set up does not appear on the Account Listing screen in NetTeller. To change the card status of an ATM/debit card in order to activate ATM/debit cards, reorder ATM/debit cards, or Hot Card (report as lost or stolen), users must select Options from the NetTeller main menu, and then select ATM/Debit Card. The ATM/Debit Card Options screen appears. All but the last four digits of an ATM card number are masked on this screen. The pseudo account name to which the card is assigned appears. Once they have selected their desired options, users must select Submit, and then Confirm. This option applies for financial institutions that use PassPort. This procedure allows you to change the card status of an ATM/debit card in order to activate ATM/debit cards, reorder ATM/debit cards, or Hot Card (report as lost or stolen). Access and sign in to NetTeller. Select the appropriate option(s) for the designated ATM/debit card (or cards), based on the action(s) to be initiated. Select Confirm to confirm the option(s) selected for the designated ATM/Debit card(s). Select Options from the NetTeller Main Menu. Select the ATM/Debit Card option from the NetTeller Main Menu. The ATM/Debit Card Options screen appears. All but the last four digits of an ATM card number are masked when displayed on this screen. The pseudo account name to which the card is assigned also appears. Select Submit to initiate the request. A confirmation screen appears with a system message indicating the number of ATM/debit cards selected for update and the action initiated (i.e., status) for the ATM/debit card(s) selected for update appears. Select Confirm to confirm the update(s). From this screen, NetTeller users can select Confirm to confirm the initiation of the option(s) selected for the ATM/Debit Card(s) or Cancel to cancel initiation. From this screen, NetTeller users can enroll in mobile banking, select the accounts they wish to access from their mobile device, establish or modify their mobile phone number, and indicate their applicable mobile provider. The Mobile Phone Number required. Users are not allowed to continue enrollment or complete changes if they leave this field blank.